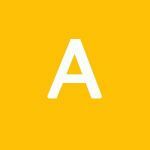 "The Largest Trade Show for Pet Industry"
Global Pet Expo, presented by the American Pet Products Association (APPA) is the pet industry's largest annual trade show featuring the newest, most innovative pet products on the market today. Around the world showcase the latest and greatest products available for all types of pets including dogs, cats, birds, fish, reptiles, small animals and horses. This was my first time at the global expo. I am a grooming shop owner and groomer. I did love the expo it was huge and a lot of vendors. What I didn’t like to my understanding just about every booth or vendor I went to was that i was kind of ignored because my tag said buyer and it is mostly for people who are able to purchase extremely large quantities of things some of them well a lot of them required a minimum $1000 purchase. Lowest was around $250 minimum which was closer to my type. But you had to purchase pallets of things etc. too much for me to be able to do. I’m a small business so didn’t walk away with much. There are someVendors that would sell in small quantity but very few that I personally came across. Again it’s huge so maybe I was in the wrong area. Who knows. I was unable to walk the whole expo because it is soooo big that it becomes overwhelming at least for me. 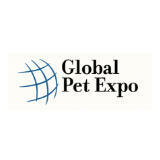 Global Pet Expo will be a great exhibition for the companies working in the field of products and services linked to pets. Leading companies from different corners will participate with a dream to attract new customers. Exporters and distributors will also participate to search for available opportunities. Universal's Cabana Bay Beach Re..